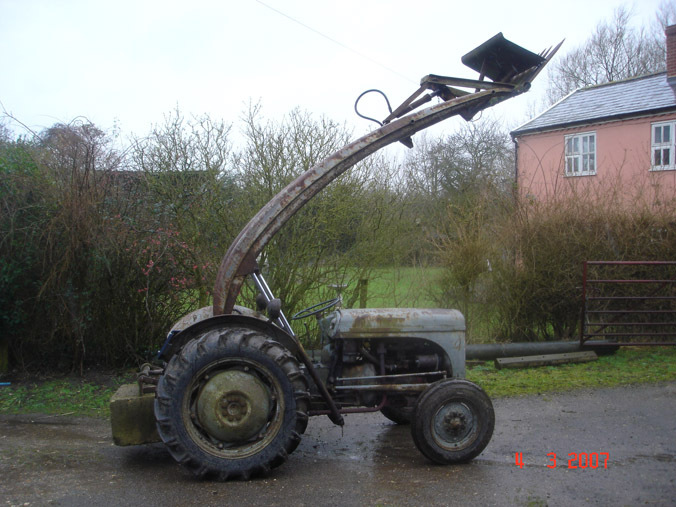 This tractor is my most recent purchase, and was found through eBay, but purchased privately, as it was fairly local in Essex. It was bought principally for the loader, as I required something to lift machinery on and off trailers, and general duties around the yard. The tractor has, at some point, been fitted with the more powerful magneto ignition TVO MF baler engine. This is in very good condition, with excellent oil pressure, although is currently drawing too much air due to broken manifold studs. 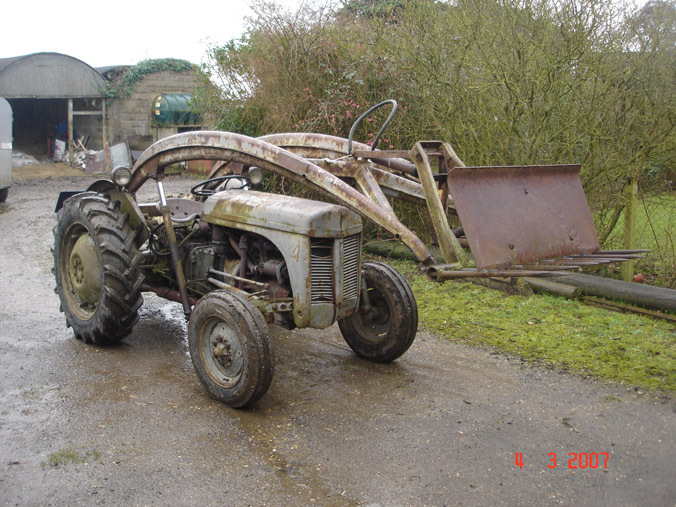 Since purchase, we have carried out some of the minor jobs on the tractor, including changing the front wheels and tyres, but it will shortly be sent to GK Argent to have further work carried out. 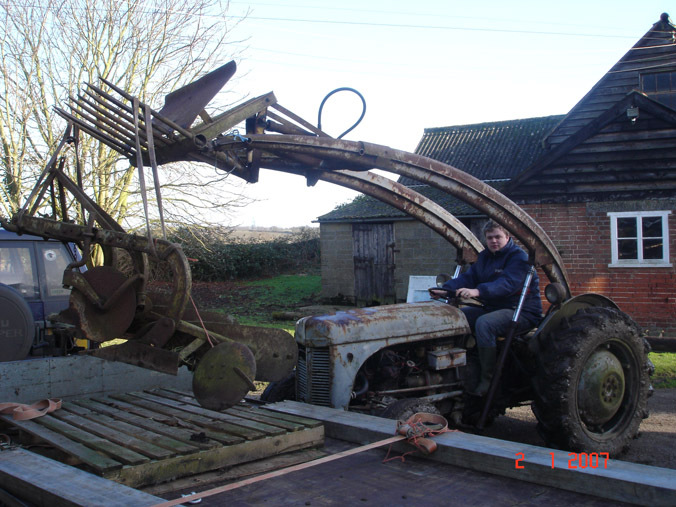 The tractor has also been registered with an age related number, with the assistance of FOFH. We have made a good original muck fork, from two in poor condition, and have modified my rear mounted pallet forks to fit the loader. It has proved a valuable addition to the collection, and I am looking forward to having the rest of the niggly problems sorted out.